Am also going to hang this on the tree also when I put it up. Like the fact that you can either have it personalized with name and year or just year or no personalization at all. I love these ornaments and send them out as Christmas presents. I buy ornaments from Miles Kimball every year and have never been disappointed. 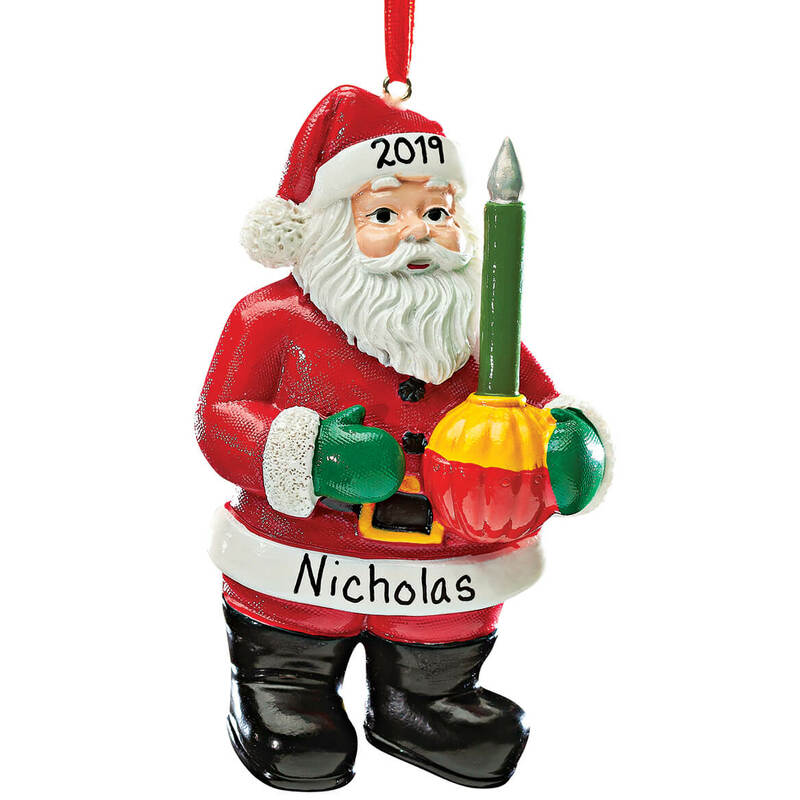 This Santa ornament looks just like it did in the catalog. Was very pleased with it. Looks like a dollar type store item. Picture depicts a Bubble Light Santa, Unlike the sender, I know what a BUBBLE LIGHT SANTA IS! THIS IS NOT IT! Unfortunately it was personalized, so I can't return it even though it was misrepresented. So it's going to Trash heaven. Nostalgia. These were a part of my childhood. I LIGHT THE BUBBLE LIGHTS ! IT'S FOR MY COLLECTION IN THE CHRISTMAS TREE ! For the sentimental bubble light and love Santa!! We give our 6 granddaughters a new ornament each year;. This one is new and very cute. Traditional and adorable ornaments for the Grandkids. My sister's favorite Christmas tree ornaments was the bubbler when we were young. 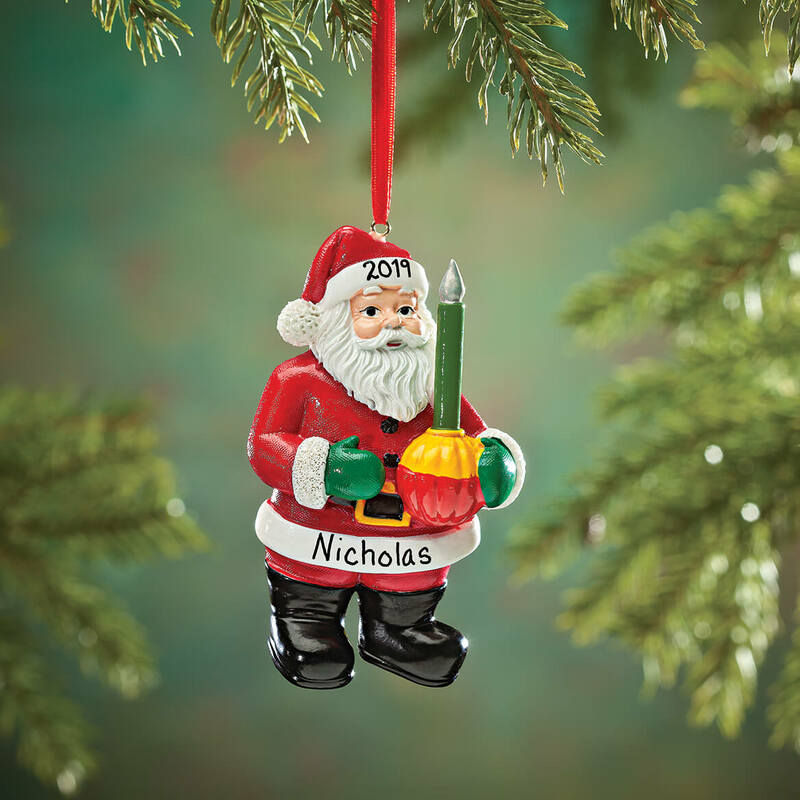 My daughter and younger sister have been wanting personalized Santa Ornaments and this was very nice and a great price! I have ordered other ornaments and so has my mom for years through Miles Kimball and we still have every single one and they are in perfect condition! For a grandson who loves Christmas. Love the old fashion look of the bubble light. Loved them when I was a child and wanted to share that with my grandchildren. Good for my two grandsons! Santa looks just like our family heirloom Santa that stood by our tree every year since 1950. I chose this because my nephew has always liked bubble lights and since I have gotten my niece and nephews an ornament each year until they are out on their own, I get them an ornament for whatever they were or are into for that year. I like it; hope my grandson does as well. I have bought from Miles Kimball in the past and have always been happy with my purchase. I only put Santa Clause ornaments on my Christmas tree and every year I try to get a new one. Since I now live with my sister I also bought one for her. 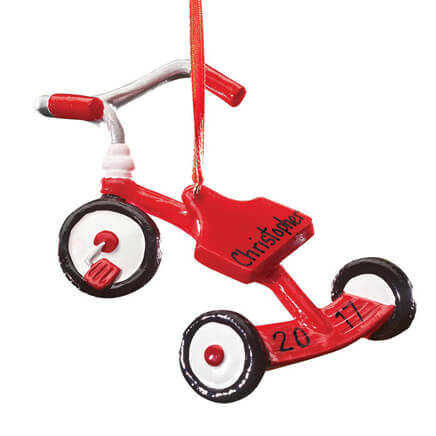 I purchase an ornament each year for my children and grandchildren. I look for the new ornaments MilesKimball have each year. They are made of great quality material and these are keepsakes for them year after year. Thank you for making these great ornaments. They love getting them each year. REMINDS ME OF ORNAMENTS WHEN I WAS A CHILD. BOUGHT FOR MY 7TH GREAT GRANDCHILD. Do u have 2018 ornament? BEST ANSWER: Thank you for your question. Any year can be put on it. We hope this information will be of help to you.